I recently replaced my Roadmaster Falcon 2 Towbar and ran across a product they introduced some time ago called FuseMaster. What is it you ask? It replaces the fuse you must pull to tow with a switich. Here are the details: FuseMaster by Roadmaster. We tow a Sturn Vue and the last procedure is to pull the Ignition Fuse from the passenger side fuse box. Now, no more pulling the fuse. We simply set the switch to "Tow" and we are done. Easy to install and it works. Buy it on-line at American RV Company. 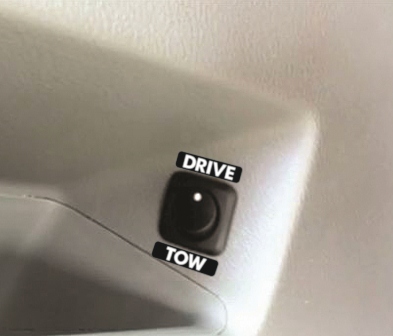 Be sure to check the Fit List and this RoadMaster Technical Bulletin to deetermine model for your tow vehicle. I upgraded the 3G MiFi device last August to the 4G model and it was totally unreliable in a 3G network. I probaly have over a dozen calls to tech support with no luck getting it fixed. It was even replaced once, Simm card replaced and firmware upgraded. 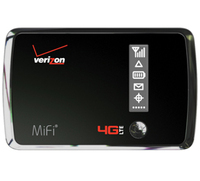 Continue reading Verizon 4G MiFi Finally Stable in a 3G Area. Continue reading Portable Water Softener: Buying Tips. Continue reading Full Time RVing: A portable water treatment system might be a wise investment. Our business Website is now up and running at BIG (MT). No, it is not BIG Mountain! It is all about using Movable Type (MT) for presenting your business to the world. Included categories are News, Potfolio, MT Tips, Technology, Services and more. We also have a Facebook group at BIG (MT) Group. We invite you to join. Byrne Reese at majordojo (and more recently endevver) took an open source design from a WordPress designer and modified it for MT. Drum role please ... Hybrid News for MT. You can see my implementation of it at The Providence Gazzette. It is my Providence content imported into my test MT installation. I can see many possible applications of this theme anywhere a "news" format Blog/Website is desired; associations, real estate brokers and agents ... limited only by imagination. I have worked with Movable Type (MT) for over five years and wouldn't want to develop Blogs and/or Blogsites with anything else. It is fast, industrial strength, flexible and esy to work with. The only area that is lacking is the development and availabilty of a wide variety of sophisticated Themes. WordPress is far superior in this area. As a MT based website developer I always start with a blank and create unique styles for each client. While this is usually part of the requirement, it is one of the most time consuming (and expensive) part of a project. Good to have this one to use as a base!! This is a test to see how posterous handles photos and album creation. Five photos or more creates a new album on Facebook (I think). Continue reading to see how these are sent here. Continue reading Testing photo attachments via email posts. Let's see what this looks like in the Entry form. 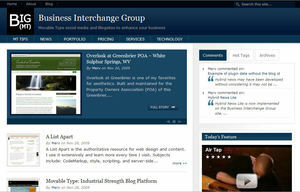 Our web site is sporting a new look and feel thanks to Movable Type and the Professional Template Set. The Professional Template Set makes it possible for just about anyone to get up and running with a new web site using Movable Type. It is literally as easy as just a few clicks. Just pick a new for your web site, select the Professional Template Set and publish. Then viola! a new web site. Thank you Movable Type!